Alabama teaches him deeper understandings of nature and its most ruthless predators. 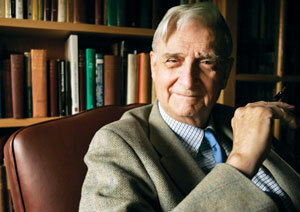 ﻿﻿Now a professor emeritus at Harvard and honorary curator in entomology, in 1998 Wilson extended his program of evolutionary thought in the work Consilience: The Unity of Knowledge, which argues for a reversal of the current fragmentation of knowledge and postmodernist ideologies and a return to the ideals of the original Enlightenment, including bridging of the sciences and humanities. He is currently working on books on the theory of evolutionary forces and (with Bert Hölldobler) the biology of superorganisms, as well as conducting field research on the ecology and biogeography of West Indian ant fauna. While continuing his research on the systematics and biogeography of ants, Wilson has become increasingly involved in the global conservation movement. In addition to authoring other books and articles on the subject, and lecturing in many countries, he has served on the boards of directors of the American Museum of Natural History, Conservation International, The Nature Conservancy, and World Wildlife Fund, and has been a key consultant of the New York Botanical Garden, Columbia University’s Earth Institute, and many other environmental and scientific organizations. The online discussions of the essays and Anthill will begin May 8, and May 22 respectively. Conservation writers Curt Meine and Will Stolzenburg (author of Where the Wild Things Were) and other scholars, poets, and even an ant expert, will moderate the virtual book club organized by the Service’s National Conservation Training Center. A complete list of moderators and discussion questions is available at the link above. conference to be held in Madison, Wisconsin, near Aldo Leopold’s family home. The conference will feature a live Wild Read dialogue for readers attending the event and readers participating via the Web. 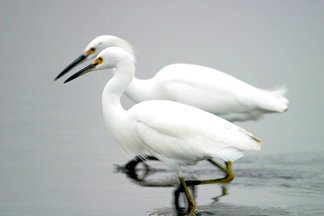 Learn more about the effort to craft a renewed vision for the Refuge System at http://americaswildlife.org/. For more information on projects by the U.S. Fish and Wildlife Service, visit http://www.fws.gov/. Thanks for posting this, Kate. Hope you all join our discussions at http://wildread.blogspot.com Curt Meine as moderator through this week and Will Stolzenburg will moderate next week. We are discussing a Leopold essay (available in PDF) and one of Curt's essays from his book Correction Lines. We will discuss E.O. 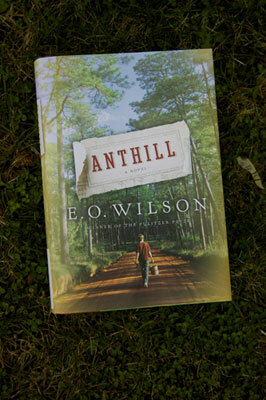 WIlson's Anthill starting May 15. All are welcome!